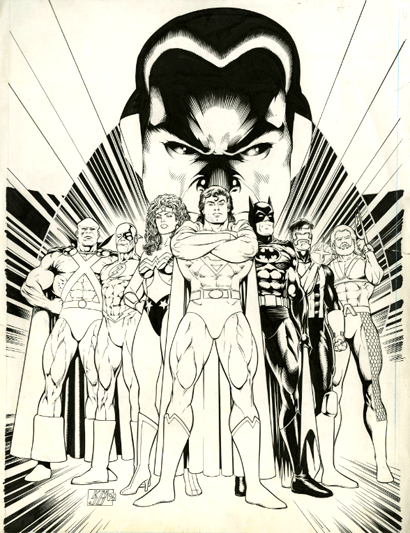 This is master comics artist Kevin Maguire's original cover to JLA: A Midsummer's Nightmare #1 from 1996, soon up for auction on Comic Link. So if you've got some deep pockets, here's your chance to own an original Maguire, featuring Aquaman! Actually, that's the cover of the trade paperback collection. The mini-series was a triptych.